6th International Conference on Diabetes Treatment & Research : Vydya Health - Find Providers, Products. 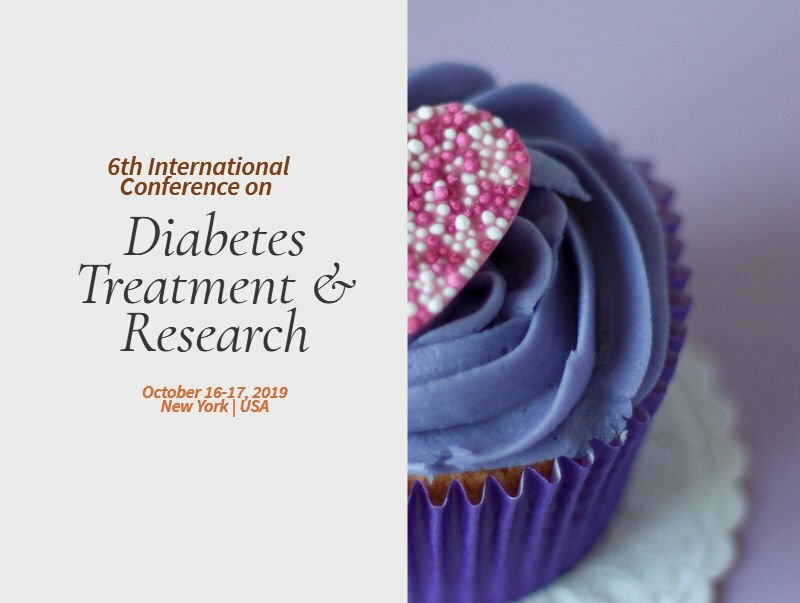 We cordially invite you to the “6th International Conference on Diabetes Treatment & Research” to held on October 16-17, 2019 at New York, USA. Distinguished contributors from all over the globe in the fields of Diabetes, Endocrinology and related subjects will be attending the conference like Eminent Doctors, Research Professors and research scholars Members of various medical associations Governmental and public bodies. This Conference provides a platform for researchers/scientists to share and globalize their research work while the participants from industry can promote their products thus felicitating dissemination of knowledge. There will be thought provoking keynote lectures, oral and poster presentations.